This versatile sun canopy is made entirely of Ten Cate All Season material just like the full awnings, it has sides which are fitted with zips enabling you to quickly erect a strong protective roof panel or fit side panels should you require that little something extra from your sun canopy. Simple and fast to erect for a short or long stay this Vario also provides you the added option to choose side panels with or without windows on both sides. Ordering the Vario is completely your own selection, you can choose with or without sides and with or without a window in the side panel. 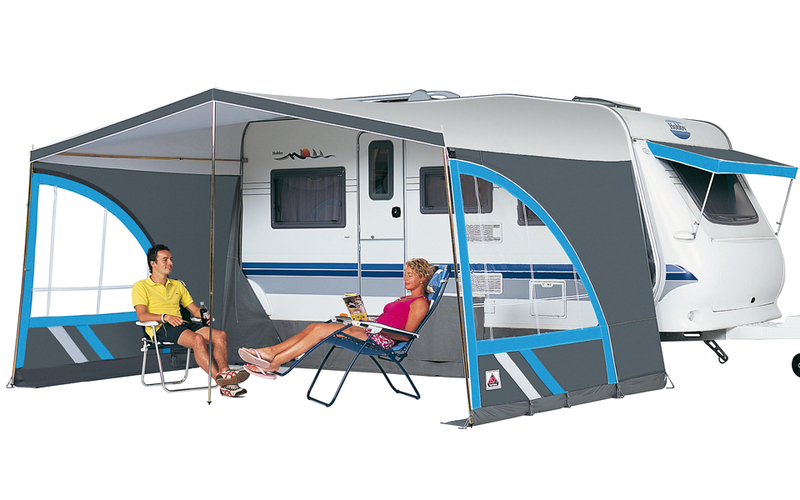 A wind skirt and wheel cover as shown is standard on the Vario sun canopy, as an example a size 775cm awning packed in standard form with 3 upright steel poles weighs approx. 11.8 kg. Vario options available: Side panels with or without windows, full alloy frame, quick lock pads. A stylish and modern looking luxury sun canopy available in 5 colour combinations that comes with detachable side panels. This lightweight canopy is ideal for touring caravan owners who will appreciate the ease of erection, stand out colours and large amount of protection from the sun. Both side panels are able to be zipped out and covered zips are fitted in matching material for extra protection, standard frame is steel, as an example a size 725cm awning packed in standard form weighs a low 18kg. A wind skirt and wheel cover as shown is standard on the Panorama sun canopy. Panorama options available: Safe Lock System kit storm straps, full alloy frame, quick lock pads. 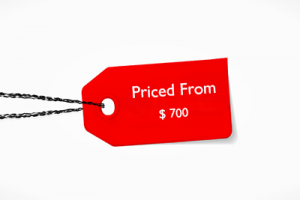 Please note: Prices quoted on this page are for the smallest size canopy available and without any optional extras, quoted price includes delivery to your door within Australia.